astippich requested review of D20608: Declare properties as meta type. astippich committed R286:4808263e41bf: Change properties attributes for consistency (authored by astippich). astippich closed D20528: Change properties attributes for consistency. astippich committed R286:ffdee4011145: Handle variant list in formatting functions (authored by astippich). astippich closed D19445: Handle variant list in formatting functions. astippich committed R286:eb9b1ef9b30d: add license to python test files (authored by astippich). astippich closed D20529: add license to python test files. astippich updated the summary of D20531: Use artist when inserting a new album when album artist is not available. astippich added a comment to D20531: Use artist when inserting a new album when album artist is not available. This is used only when adding the album (insertAlbum function). It is not added to the tracks in the database, so I believe this change is correct. This is also done the same way a few lines above when checking for albums already in the database. I will change the title to make that clear. astippich requested changes to D20526: fix extracting of some properties to match what was writen. When searching is left to baloo, it already splits up strings at whitespace etc., so you can provide the string as is. Elisa is barely usable for me without this as most of my files apparently do not have an album artist tag. astippich requested review of D20531: Use artist when inserting a new album when album artist is not available. astippich accepted D20523: Remove a dead declaration. astippich requested review of D20529: add license to python test files. astippich added a dependent revision for D19445: Handle variant list in formatting functions: D20528: Change properties attributes for consistency. astippich added a dependency for D20528: Change properties attributes for consistency: D19445: Handle variant list in formatting functions. astippich requested review of D20528: Change properties attributes for consistency. astippich updated the diff for D20502: Check for string lists and multi-values in property map. astippich added a comment to D20526: fix extracting of some properties to match what was writen. 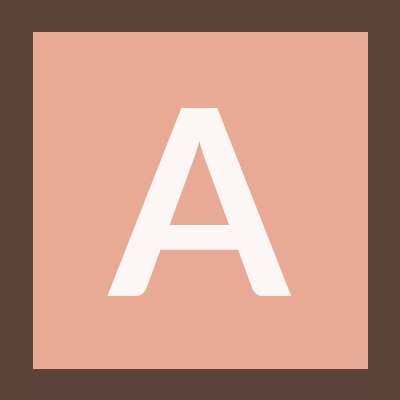 astippich added a comment to T7878: Create or find Icon. astippich committed R286:ccc0e0b9238e: Force en locale for propertyinfotest (authored by astippich). astippich closed D20358: Force en locale for propertyinfotest. astippich added a comment to D12222: baloodb: Use complete access filtering for all outputs. @bruns this still applies cleanly to current master, do you think this and the dependent revision are still worth it to merge? astippich requested review of D20502: Check for string lists and multi-values in property map. astippich added a comment to D17500: Get mobipocket extractor up-to-date, but keep disabled. IMHO bundling these two is sub-optimal as it creates an unnecessary dependency on kde-specific libraries and limits its deployment. To me, this is the equivalent of bundling the audio thumbnailer with taglib. astippich updated the diff for D20358: Force en locale for propertyinfotest. astippich accepted D20459: [balooctl] Extend options help text, improve error checking. astippich updated the diff for D19445: Handle variant list in formatting functions. The plan I was about to propose is to move the thumbnailer to kdegraphics-thumbnailers and remove it from the QMobipocket library, lifting the KIO dependency of QMobipocket. I think a KIO dependency for such a library is inconvenient. qmobipocket only depends on Qt::Core and Qt::Gui. astippich committed R824:22ea087cec1a: Display metadata information in case only basic indexing is enabled (authored by astippich). astippich closed D20412: Display metadata information in case only basic indexing is enabled. astippich added a comment to D20358: Force en locale for propertyinfotest. It is a documentation bug. astippich committed R286:ff59f5c539e1: add missing mimetype to taglib writer (authored by astippich). astippich committed R286:a17bdf0b417b: remove unnecessary parenthesis (authored by astippich). astippich updated the summary of D17500: Get mobipocket extractor up-to-date, but keep disabled. astippich updated the diff for D17500: Get mobipocket extractor up-to-date, but keep disabled. astippich added inline comments to D20412: Display metadata information in case only basic indexing is enabled. astippich updated the diff for D20412: Display metadata information in case only basic indexing is enabled. astippich committed R824:170a52b0baae: Use helper from KFileMetaData to detect mimetype (authored by astippich). astippich closed D20411: Use helper from KFileMetaData to detect mimetype. astippich added a comment to D20133: [UserMetaData] Untangle Windows, Linux/BSD/Mac and stub code..
astippich added a comment to D19445: Handle variant list in formatting functions. astippich requested review of D20412: Display metadata information in case only basic indexing is enabled. astippich requested review of D20411: Use helper from KFileMetaData to detect mimetype. astippich added a comment to D11882: autotests: Use built executable instead of installed. @bruns this diff tries to accomplish the same as D19268, and can be closed, right? astippich accepted D20345: Use compact Json format when converting query URLs. astippich accepted D20364: Dont add default valued date filters to json. astippich added inline comments to D20358: Force en locale for propertyinfotest. astippich committed R286:0cfa32c2a376: Test all extractors with strict mime type (authored by astippich). astippich closed D20360: Test all extractors with strict mime type. astippich accepted D20328: [balooshow] Do not print a bogus warning for a non-indexed file. astippich committed R286:ca4ae3d5f3ba: Fix typo (authored by astippich). astippich committed R286:65b8e31d97a8: fix warnings (authored by astippich). astippich requested review of D20360: Test all extractors with strict mime type. astippich closed D20120: Use new mimetype helper in taglib extractor test. astippich committed R286:0d9aebdd05b5: Use new mimetype helper in taglib extractor test (authored by astippich). astippich added a comment to D20120: Use new mimetype helper in taglib extractor test. astippich accepted D20133: [UserMetaData] Untangle Windows, Linux/BSD/Mac and stub code.. Still kind of hard to read, especially on phabricator. Anyway, a definite improvement. astippich requested review of D20359: Fix rating write for mp4 in newer TagLib versions. astippich requested review of D20358: Force en locale for propertyinfotest. astippich accepted D20033: Default string formatting test to C locale, add localized run. astippich added inline comments to D19087: Add standalone conversion functions for PropertyMap to Json and vice versa. astippich committed R286:452edb1b4c80: Cleanup taglib writer test (authored by astippich). astippich closed D18665: Cleanup taglib writer test. astippich committed R286:8e79f7ce2b7c: Implement support for writing rating information for taglib writer (authored by astippich). astippich closed D18604: Implement support for writing rating information for taglib writer. astippich closed D18603: Implement more tags for taglib writer. astippich committed R286:926c70460edc: Implement more tags for taglib writer (authored by astippich). astippich committed R286:982ebe58b3c8: Rewrite taglib writer to use property interface (authored by astippich). astippich closed D18601: Rewrite taglib writer to use property interface. astippich closed D20121: Test ffmpeg extractor using mime type helper. astippich committed R286:25eca3185ffa: Test ffmpeg extractor using mime type helper (authored by astippich). astippich added a comment to D20219: Propose Stefan Bruns as KFileMetaData maintainer. astippich updated the diff for D20121: Test ffmpeg extractor using mime type helper. astippich updated the diff for D18604: Implement support for writing rating information for taglib writer. astippich added a comment to D20046: Verify mimetypes for all existing sample files, add some more. astippich committed R286:1ac4253f3cf0: Safeguard against invalid files (authored by astippich). astippich closed D20082: Safeguard against invalid files. astippich added a comment to D20138: Add a helper to determine actual supported parent mime type. Oh, another idea: Cannot this be used to determine that the extractor supports the inheriting mimetype as required in D20121? Would need to be public for this, though, or the test needs to be made a friend class. astippich accepted D20138: Add a helper to determine actual supported parent mime type. astippich updated the diff for D18603: Implement more tags for taglib writer. astippich updated the diff for D18601: Rewrite taglib writer to use property interface. astippich added a comment to D20082: Safeguard against invalid files. ping. I would like to land this for KF 5.57 to fix crashes in the taglib extractors because of invalid files once and for all. Shouldn't this go into MimeUtils? astippich updated subscribers of D19087: Add standalone conversion functions for PropertyMap to Json and vice versa. My main concern is that this changes current behavior and as such is not backwards compatible. The rest is a bonus. That is why my plan was to make the extractors output (string-)lists as outlined in T8196 (this task has been there for quite a while, feedback would have been nice). This way, current behavior can be preserved while also fixing all bugs with multi-value properties. If changing this behavior is okay, then you should at least post patches that adapt all clients. I know of Baloo-widgets, Dolphin and Elisa. But there will be combinations of frameworks and applications that will not work correctly for multi-value properties. What do others think of this? @mgallien? astippich added inline comments to D20121: Test ffmpeg extractor using mime type helper. astippich requested review of D20121: Test ffmpeg extractor using mime type helper. astippich requested review of D20120: Use new mimetype helper in taglib extractor test. astippich added a comment to D18604: Implement support for writing rating information for taglib writer. After some thinking, I have split up the function for writing specific Ape and Vorbis tags, as many more tags like "Opus" etc. are in use for Vorbis tags and not for Ape, and can be easily added this way. I am still using the property map, though.